Aqualand Corfu Waterpark is a paradise for children and families, who like a combination of sun and water. With more than 36 different water slides, 15 adventure pools, Jacuzzi and many other fascinating games! 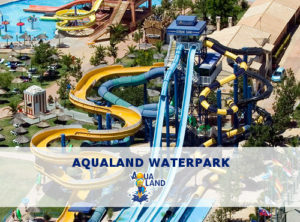 Aqualand Corfu Waterpark is a unique and unforgettable experience of joy, happiness and endless fun! Millions of people all over the world have visited this water park. 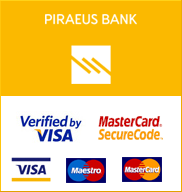 If you are visiting Corfu do not miss this unique experience! Hurricane Twist Slides and many more!